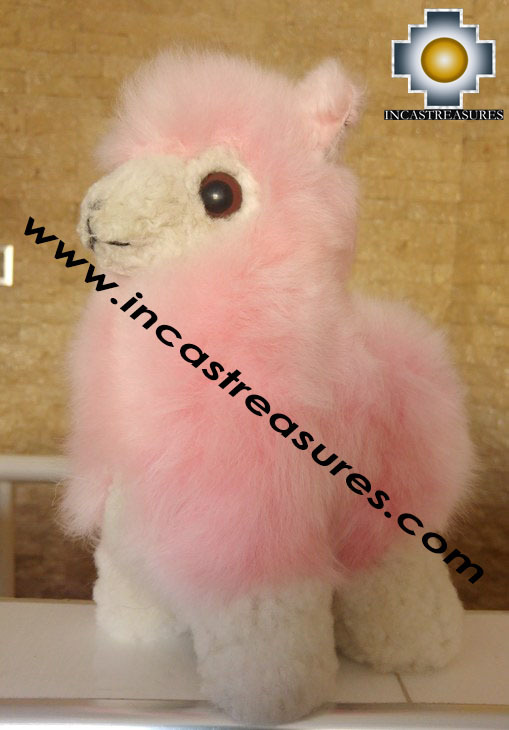 You are located in>Home >> Toys and Games >> Alpaca Stuffed Alpaca Sugar"
Be romantic!! 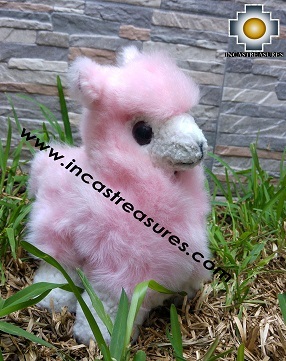 The love is in the Air, Our Alpaca Sugar have a beautiful pink color, a perfect gift for the person that you love , a unique gift for Valentine's and for any special day. 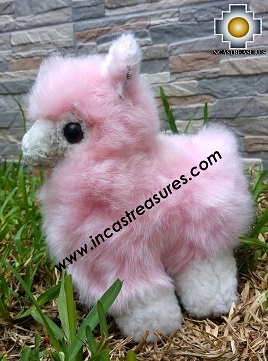 This Alpaca Teddy is an unique Lovely stuffed animal, very soft, a perfect gift and a perfect toy, the expressions are very gentle is an alpaca stuffed animal true representation of a friendly Baby Alpaca the most romantic Alpaca a Valentine's day Special Edition. Express Your love with this lovel teddy bear and support handmade art from the Andes Artisans. Can be used as a perfect decoration for your room, living room or hall, as a toy or even a nice pillow. 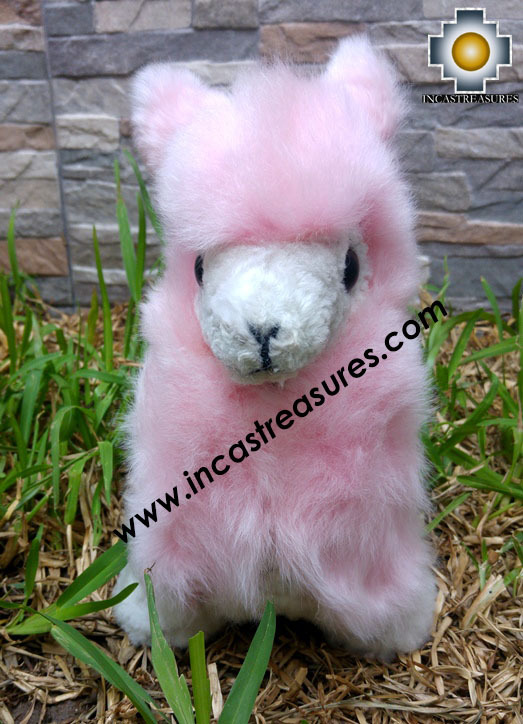 Pinky alpaca teddy bear is made with 100% Baby Alpaca, handmade by very gifted artisans from Peruvian Andes. The stuffed animal is so soft and is all natural no artifial dyes, or any fiber . Here at Incastreasures we put our best effort to select the best stuffed animals for you and bring the joy of the Andes. Made with love using Baby alpaca unique fiber . With our big and soft Okoshi you will get a high quality product at low price, with free shipping and also we are adding a free gift for you. Made by fair trade artisans. No animals were harmed to make this adorable baby alpaca stuffed animal. 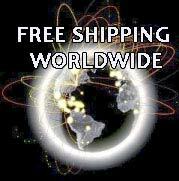 100% handmade Peru Usually arrives on 12 business days .